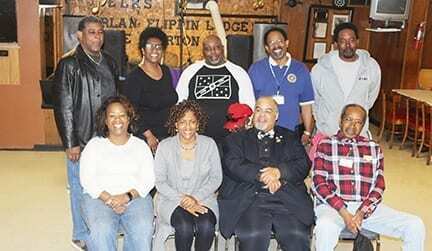 COLUMBIA, TN — After months of reorganization and a continuing membership drive, the Columbia, Maury County NAACP Branch elected officers last Saturday. 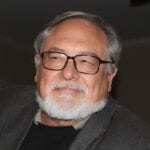 Hernando Paco Havard, a former branch president who was appointed by the Tennessee State Conference of the NAACP to help reorganize the branch, was elected president by a significant margin. Elected without a challenger was Larry Patton, the new first vice president. Patton joined the association 23 years ago and has held nearly every post in the branch. Experienced leaders are needed especially for a branch that’s just been reorganized to resume operations, according to the state conference’s regional vice president, Jimmie M. Garland Sr. He presided over the election held in the Elks Club Lodge on Bridge Avenue. Garland is president of the Clarksville branch and a school board member there. Last year, state and national association officers realized the branch here had less than 50 members, and that there was a lack of branch attendance at meetings and training sessions as required by association regulations. “You did not lose your charter,” Garland told members. “You dipped below the number needed” to remain active. The branch in Clarksville had fewer than 50 members about a dozen years ago, he said. That can’t happen again for some time because of the number of life-time members in the branch. Garland emphasized these and other points before and after the election. New officers also include: Derrick Cathey, second vice president; Juan Biffle, third vice president; Katrina Holt, secretary; Kimberley Osborn, assistant secretary; and executive committee members Richard Johnson, Kaliente Glenn, Shawn Duncan, DiMarco Williams, Terry Hannah, Beverly Hobson, Tracey Cosey, Kendall Alderson and Leona Bryson. Too many people think leadership of an NAACP branch is like running other organizations, Garland said. NAACP branch officers across America get phone calls for help at all hours, he said. If it’s about a civil rights issue, there’s an obligation to help. Among various NAACP members who came to Columbia to help Garland was Hardin Franklin a leader in the Giles County branch.